Diane publishes her lecture transcripts and books only here, as well as articles and transcripts by Robert Marks. Explore the connection between astrology and body weight, how to stay healthy using indicators in your birth chart and many other topics. 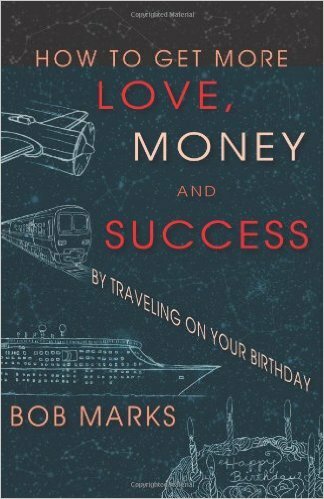 Bob's entertaining lectures include The Astrology of World Events and Solar Returns. Want to sample an article? Click on the look inside link. 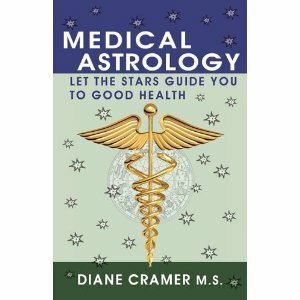 Medical Astrology: Let the Stars Guide You to Good Health is based on Diane's lectures on medical astrology given at several NYC NCGR Winter Conferences. It explains how planets, signs and aspects work in medical astrology. 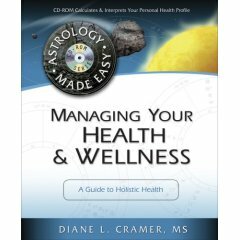 There are chart examples to help you identify unique health issues in your own chart and specific chapters on various health disorders and special techniques in medical astrology. This book is useful for both the beginning and advanced astrologer. Buy now. 302 pages (paperback). Published by Jove Press (July 14, 2010). Managing Your Health & Wellness. Don't you want to feel more energized? Wouldn't you want to lose a few pounds, or alleviate a chronic condition? Almost everyone would like to improve some area of their health. With the easy-to-use, completely personalized system found in Managing Your Health & Wellness, anyone can be on their way to achieving and maintaining optimum health. Buy now. 215 pages, including glossary and bibliography. Published by Llewellyn Publications; Book&CD-Rom edition (January 1, 2006). How to Give an Astrological Health Reading. Astrology can reveal many important facts about individual health not available by any other means. Diseases associated with each planet & sign, how to examine quadruplicities, midpoints, the ascendant, resistance to diseases, nutrition, forecasting & more. What you need to know when confronted with illness. Includes case studies and a listing of the astrological significators for many disease states. Buy now. 98 pages including glossary and bibliography. Published by AFA, paperback. UPDATED! Dictionary of Medical Astrology, 2nd Ed. 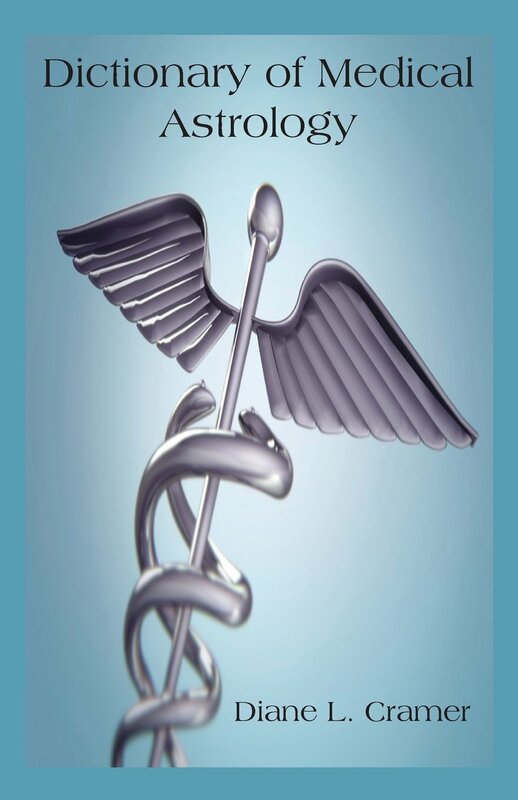 Revised and updated, Diane's second edition of Dictionary of Medical Astrology provides a compilation of astrological terms (physical, emotional & mental) and disease significators used in traditional medical astrology. "A useful rulership book for medical astrology terms, organized similar to Rex Bills' famous book." (a reader) Buy now. Includes Uranian planets in medical astrology. The bibliography provides an invaluable list of reference books on the subject. Now available on Amazon.com. Paperback, 140 pages. January 2014. Published by the American Federation of Astrologers. For centuries, astrology seemed like fate. You could roll with the punches of the planets, but, until now, you might not have known how to change them. Now there is a way to give a twist to the wheel of fate. Every year on your birthday, you get a solar return horoscope and that affects you for the next six months. The nice thing is that you can change it by being in a different location on your birthday. This book shows you how. (Amazon.com product description) Buy now.